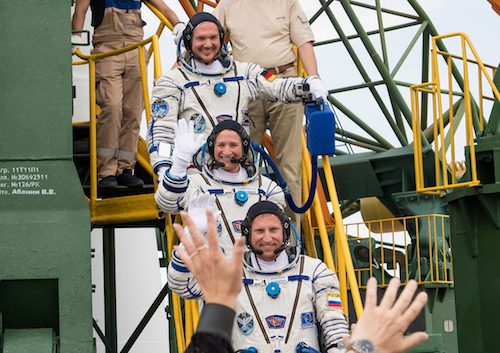 At 7:12 am on June 6, SEAS alumna and NASA astronaut Serena Auñón-Chancellor, BS ’97, and her crewmates launched from the Baikonur Cosmodrome in Kazakhstan for a six-month mission aboard the International Space Station (ISS). Dr. Auñón-Chancellor and her crewmates will continue ongoing experiments in biology, biotechnology, physical science, and Earth science currently underway aboard the ISS. To celebrate Dr. Auñón-Chancellor’s achievement, the School of Engineering and Applied Science hosted a live launch viewing event in the Science and Engineering Hall. 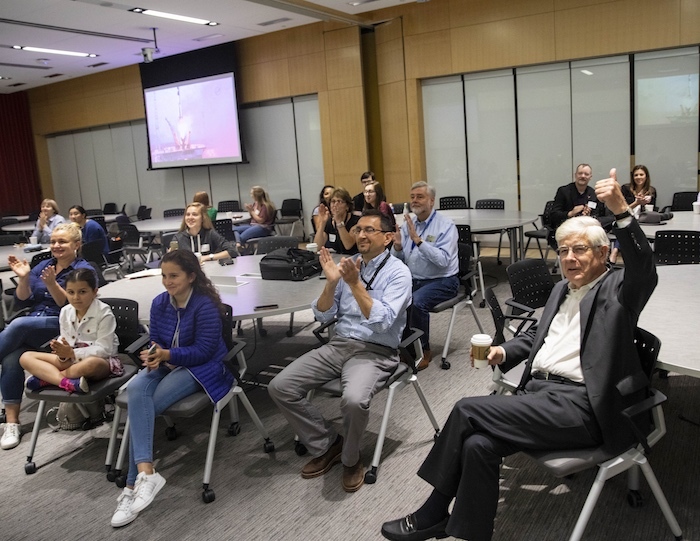 The event was open to the entire GW community, and a mix of faculty, staff, students, and alumni gathered to watch and cheer the livestreamed launch. GW Today recently had the opportunity to speak briefly with Dr. Auñón-Chancellor while she was in Russia preparing for her mission. During the interview, Dr. Auñón-Chancellor credited GW with giving her a start down her chosen path. She also spoke about her duties on the upcoming mission, what students who are interested in becoming astronauts should focus on, and how her electrical engineering background prepared her for her introduction to the electrical power station on the ISS.